It is common practice to require contractors and subcontractors to execute lien waiver forms in exchange for periodic or final payments on construction projects. In fact, it is such a universally accepted practice that many sign these forms without reviewing their terms. This becomes problematic when the purported lien waiver asks the contractor to give up rights beyond the current requisition period. Savvy owners and general contractors often include general release language in a lien waiver. These forms should be carefully reviewed to make sure they are limited to an acknowledgement of payment received and a waiver of mechanic’s lien rights associated only with that payment. By definition, a lien waiver is simply an agreement to give up the right to file a mechanic’s lien. A true lien waiver, therefore, does not affect the releasing party’s right to otherwise collect a debt through litigation or other available means. The Massachusetts mechanic’s lien law, at M.G.L. c. 254, §32, provides a statutory form of lien waiver, and declares all other lien waivers to be against public policy and therefore void and unenforceable. The statutory form waives liens only to the extent of payment and expressly reserves outstanding claims. Although widely ignored in practice, the statutory form actually specifies that waivers may only be enforced against general contractors that have already initiated the lien process. Technically, there are no lien waiver forms that can be lawfully signed by and used against subcontractors in Massachusetts. So what should you look for when you receive a lien waiver form? As an initial matter, don’t rely on the title alone. The fact that the form is called ‘lien waiver’ in most instances will not dictate the legal import of the document. in consideration of the premises and sum of money being the full and entire sum due upon the completion of the work to date, less retainage, as progress payment in hand paid by General Contractor, said Subcontractor does hereby remise, release, discharge General Contractor of any, from and all manner of liens, action, suits, debts due, sums of money, accounts, claims and demands whatsoever in law or in equity which the said Subcontractor has or may have for or on account of or in connection with the contract aforesaid to date. In a decision analyzing this precise lien waiver language, the Massachusetts courts held that the subcontractor released all claims against the general contractor that existed at the time the release was signed. While the court acknowledged that the result was harsh and perhaps unfair, the subcontractor was nonetheless barred from pursuing a breach of contract action against the general contractor. Lien waivers should not be taken lightly. A lot of effort goes into estimating the cost of a project and anticipating a profit margin. It is worthwhile to take the time to make sure that you understand what you are signing, and what claims you may be giving up. This entry was posted in Construction, Contracts and tagged Construction, lien waivers, mechanics liens. Bookmark the permalink. 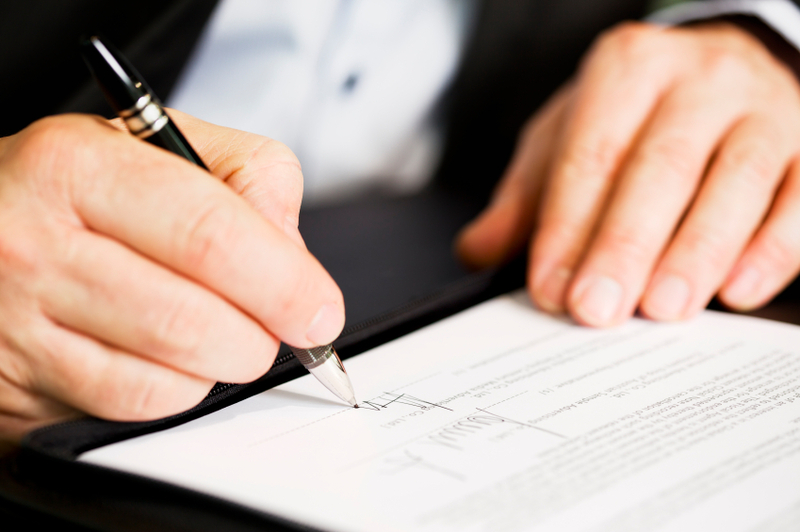 1 Response to Should You Sign That Lien Waiver?